Is this latest 9/11 disclosure just another propaganda ploy, meant to deflect from other perpetrators involved in planning and executing the attacks of Sept 11, 2001, while creating confusion around real US proxy partnerships in the Middle East? 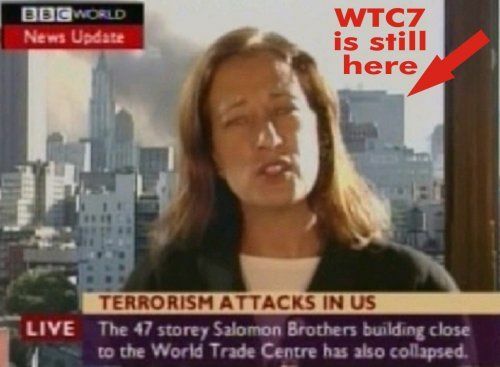 The 9/11 narrative in the mainstream media has taken on a new slant. The FBI is now accused of whitewashing Saudi involvement in the 9/11 attacks. The alleged Saudi involvement in supporting Osama bin Laden, not to mention the classified 28 pages of the 9/11 joint Congressional inquiry pertaining to the insidious role of Saudi Arabia in supporting the hijackers is part of a propaganda ploy. When the report of Joint Congressional Inquiry into 9/11 was released in December 2002, it was met with considerable skepticism. That skepticism grew for a period of time but then was reduced to speculation about what was contained in the 28 pages that had been redacted by the Bush White House. The report of the FBI 9/11 Review Commission (25 March 2015) has revealed circumstances which allegedly were withheld by the FBI from both the 9/11 Commission headed by former Jersey Governor Thomas Kean as well from the joint Senate House inquiry committee chaired by former Senator Bob Graham. Graham. And now agencies of the US government including the FBI are being accused of protecting the Saudis. This alleged Saudi involvement in the 9/11 attacks has served to precipitate segments of the 9/11 Truth movement into an erroneous and contradictory discourse. On the part of the US government and its intelligence apparatus, the objective is to ultimately to build a narrative which will weaken the 9/11 Truth movement. The purpose of this new propaganda ploy is ultimately to sustain the legend that Osama bin Laden was behind the attacks and that Saudi Arabia relentlessly supported Al Qaeda, namely that Saudi Arabia acted as a “state sponsor of terrorism”. There is, however, an obvious hiccup in this reasoning: if the Saudis were indeed the State sponsors of 9/11, why on earth did the US and the Atlantic Alliance (under the doctrine of collective security) choose to wage a “Just War” of retribution against Afghanistan. Did they get there countries mixed up?